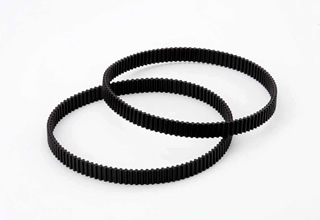 Double-Sided STS / Double-Sided Synchronous Belts | Industrial | Products | Bando Chemical Industries, Ltd. The nominal widths indicate the widths in inches multiplied by a factor of 100. 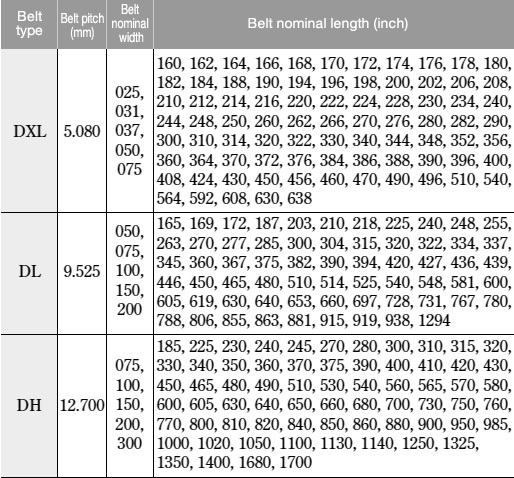 The belt nominal lengths indicate the lengths in inches multiplied by a factor of 10.